We welcome grant applications from any 501(c)3 organization that is doing work to make our community a better place. Our staff will be very glad to work with you. For more information, please contact Kim Abney at 800-964-0508. The Community Foundation no longer requires organizations that have filled out a grant application in the past five years to attend a community grants meeting. First-time applicants must contact the Foundation to discuss grant proposals prior to submission. 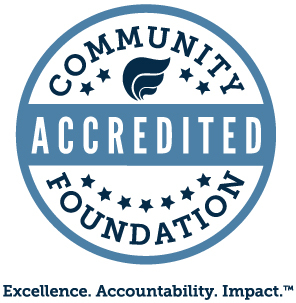 The mission of the Carroll County Community Foundation is to connect people, resources and causes to produce a positive and sustainable change in the communities we serve. In a competitive situation, quality of the application will be used in the selection between grants that are otherwise equal. These grant guidelines and policies apply only to the unrestricted philanthropic funds of the Carroll County Community Foundation and not to those funds for which the beneficiary or beneficiaries have been designated by the donor or for which the donor has restricted the use of a particular fund to a specific charitable purpose or geographic area. Those designated and restricted funds will be administered separately in relation to their respective donor agreements. Is it appropriate for the Community Foundation to make a grant for the requested purpose, or are there other more compatible sources for potential funding? Does the Community Foundation have adequate resources to effectively respond to this need?